India a diversified and a multilingual country owns a great responsibility to maintain and enhance its incredibility. Tourism is one of the major attractions for a country like India. It brings people from all over the globe close. Tourism becomes a medium to educate them about the facts related to India’s unique culture, mythology, and history. India’s uniqueness attract people across the globe to come and experience its oneness. We can always improve; we can always enhance the incredibility. Being the citizen of India one has a great responsibility to contribute to increase India’s Tourism. Transport Communication: -Firstly, to focus on are the arrangements to travel. India, no doubt has good railways and airways communication. However, why not focus on making it the best and the luxurious one. Until and unless one gets a luxurious trip, one remains tired and irritated. It is the basic thing to start with. The tourists should feel comfortable and they should have the faith on the punctuality of transports. The tourists should feel the assurance on the services they are getting to reach their destinations on time. Safety and Security: – This is another major aspect that needs proper care and attention. While travelling to different places firstly, one checks if the place is safe and secure or not. Travelling with friends and families people encounter those things first. Hence, a safe and secure environment is necessary to establish a healthy ambience. Technologies have improved a lot and we can always use those technologies to make our surroundings secure. Access to CCTVs, security guards, checking needs proper grooming. Advertisement and Marketing Strategies: We have social media, the biggest weapon for the present and the upcoming era. With its use, we can promote Tourism; celebs can bring on ads, write travel blogs. With the help of different sites, one can make many videos showing tourism and its facilities in India.The travel, tourism companies should have an eye towards its update, and likewise they should update their websites too. Cleanliness and Hygiene: This is something, where we lack in. Guesthouses near attractive scenes, changing rooms near beaches, garbage bins are some basic needs we ignore. Some places if have been able to do such are left in horrible conditions. The maintenance factor is missing. Families visit with their kids and the major concern then shifts to hygiene. It does not seem to be a good idea to be admitted into a hospital while you came to visit and explore India.Greenery in India is something which lures the people; it serves as a cherry on the cake. 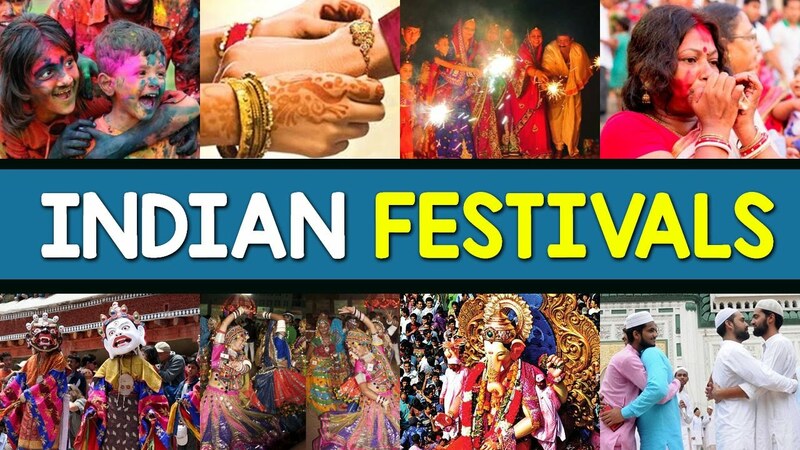 Promoting Indian Tradition: Various festivals of different countries like Christmas with west, Tomatina with Spain, Rio carnival with Brazil are the recognising factors. However, in a country like India, we have a flood of festivals and not merely one festival can sum up its culture and tradition. These festivals can add flavour to Tourism if promoted properly. These festivals like Holi, Durga Puja, and Diwali are huge celebrations. It can easily lure people to come and celebrate along with. Bollywood as a medium: – Bollywood shows tourism at its best and it lures people too. Chennai Express is one such movie, which showed South with immense beauty. The movie instigated many people to visit south. This is the art of storytelling and portrayal of things that adds to a different level of tourism. Many of the nations know the beauty, culture, tradition of India through movies that serve as a dream sequel. Thus, to expand tourism and let people know its different aspects we can imply Bollywood too. Medical facilities: An assurance to the tourists from the medical side is necessary too. It is the duty and responsibility of the nation to establish better health instances. A relaxation from the health side should exist among them and needs proper attention. Availability of ambulances, doctors, clinics needs improvement for any kind of emergencies. The feel of safety and security will come within the tourists with a better arrangement of medical and emergencies. Accommodation: Inviting a maximum number of tourists and enhancing tourism will be only possible if there is a proper accommodation for those tourists. Therefore, availability of accommodations for all kinds of public with different price range need focus. In this sector, encouragement to the private companies can lead to fruitful investment for accommodations and guesthouses. Hospitality is one of the major concerns when it comes to developing tourism. The tourists expect a friendly reception; the host should hold a smile and make them feel comfortable and homely. Travel Guides: Guidance has a significant role to play. The travel guides should know the related facts and places to proceed next. It is an utmost need of Indian Tourism. A tourist guide is one who is responsible and good to communicate with. The tourists without a proper tourist guide will feel lost in an unknown country. On the other hand, a proper security check process should exist for the travel guides too. The tourists should not have a question of doubt. It is quite understandable that not a random person becomes a guide; it needs proper education. .
Indian highlights: The best part is that India has a lot to display and let one experience and feel. It will take ages to describe all but some to focus are like food, evenings, Dhaba, and such. Cuisines of India is something you should definitely invest upon. The best part is that there is not only a particular kind of special food or such rather many from “daal tadka” to “Gobhi paratha” and dessert. The dishes of India are so attractive that food lovers will fall in love. Similarly, the evenings are beautiful, tea with gossips; roads with people are beautiful to look upon. In fact, Yoga centres that are another major attraction or something that invites more tourists. Furthermore, the popularity and uniqueness should act like passing on the traits from generation to generation. Until and unless these are communicated properly, how will one know it? Lastly, to conclude, “INCREDIBLE INDIA” is what every tourists know India as and hence we should try to keep the tag intact. We should focus to enhance the good, positive things to maintain the credibility of India. There are many such things that the citizens of India and the concerned authorities can do to increase tourism in India. Some of them listed above are the major ones. The unity in this field will help increase the tourism. Further, when one understands how tourism can change the face of the nation, half of the battle is won. The increase in tourism will serve with more income, more value. It will help to develop an image for India. Furthermore, we can expect to see India counted within top travel destinations.